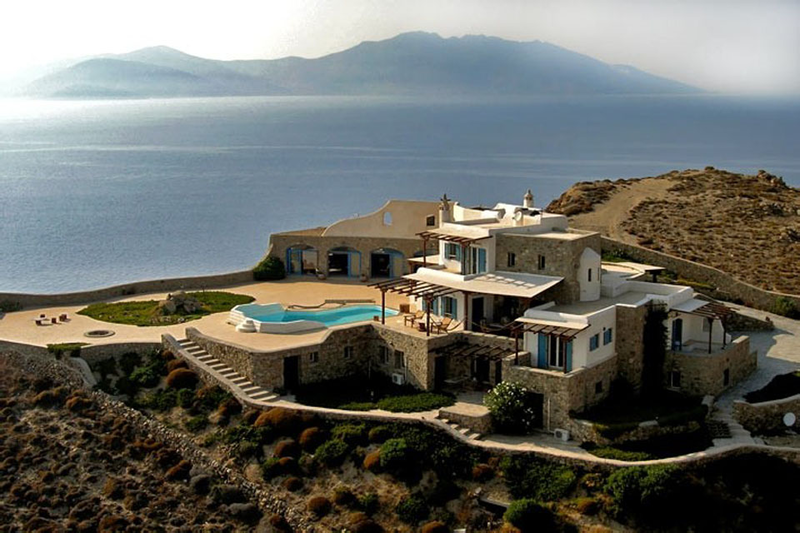 Villa Sunset is a large hill-top property situated above Houlakia Bay. 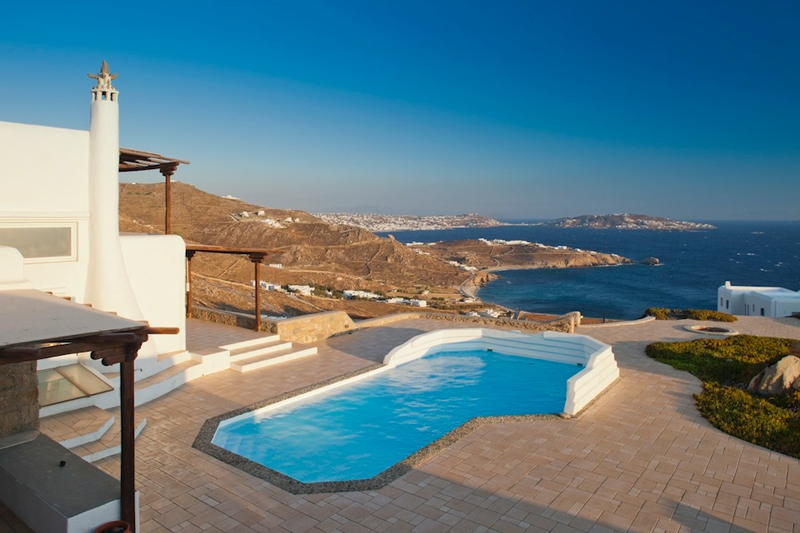 From its dominant position offers uninterrupted views of Mykonos town and other nearby Cycladic Islands such as Delos, Rhenia, Syros and Tinos. 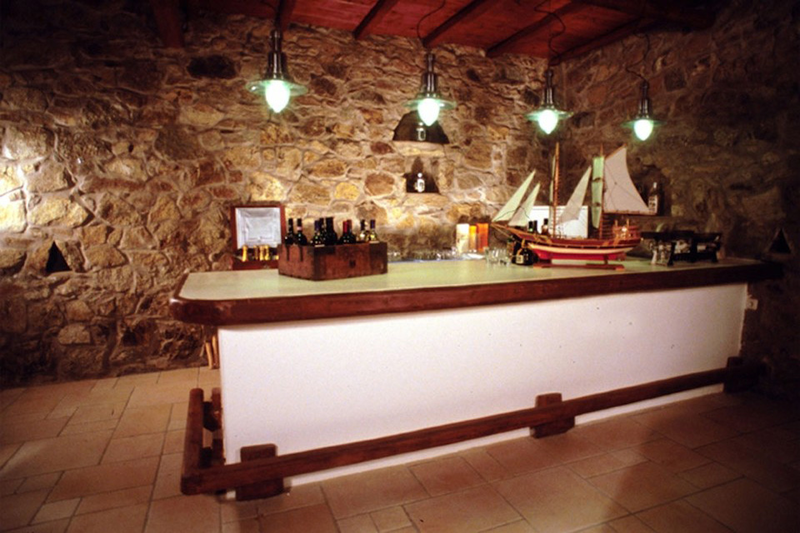 The common area with sea view can host up to 200 people reception. 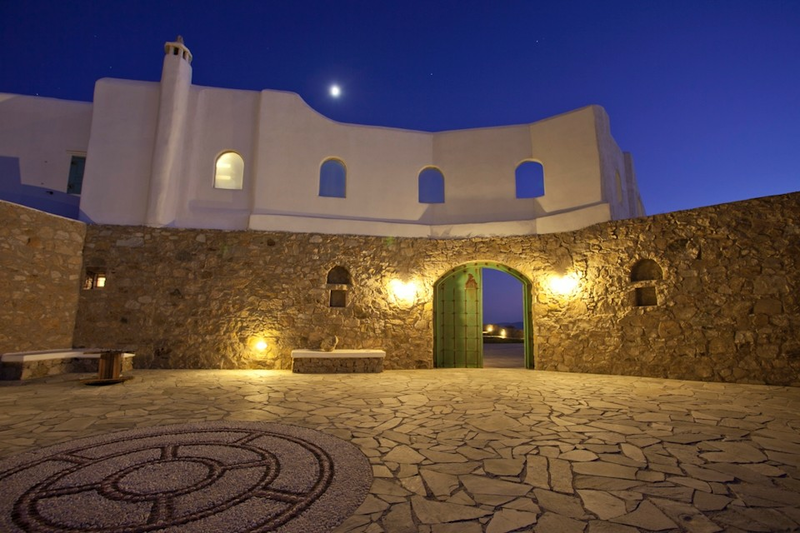 At nightfall, figures change dramatically as tiny lights glitter in the dark, giving life to the island. 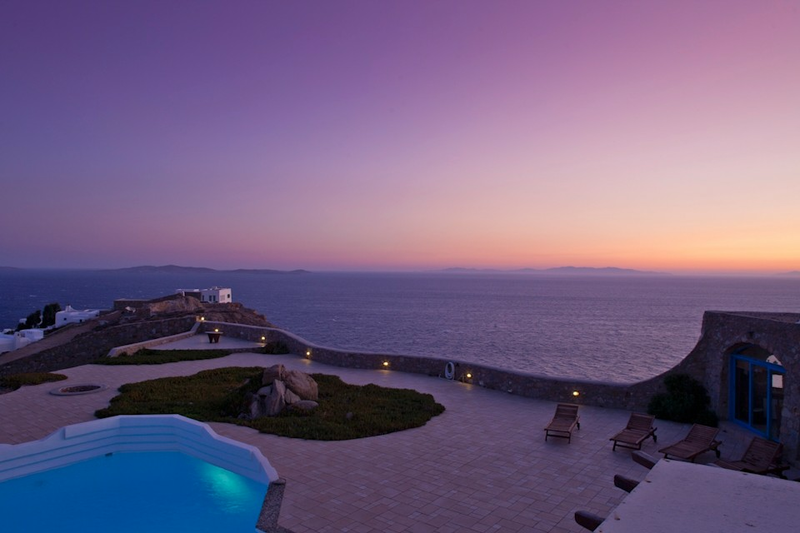 Facing West villa gives you the opportunity to have your drink watching the beautiful sunset at the Aegean Sea.